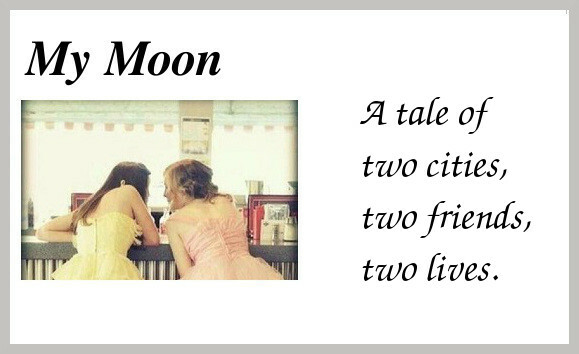 My Moon: Miss My's Favourite Kitchen. I have found my favourite kitchen! Or wait, have I? Because my favourite kitchen used to look a bit different. My favourite kitchen is still white but I guess my taste has matured a bit. Kitchen styles evolve after all. As do I. I think. Here is a picture of the Ikea kitchen I fell in love with 8 years ago. I remember falling in love with the glass door cabinets, wood worktops and I really loved the red tiles. Now I'm not so sure about the red tiles anymore and my taste has slightly changed. Here are some kitchens I'm in love with now. I love the simple white cabinets, the island, the black (granite?) worktops and the cream Aga. In winter I can imagine sipping my hot chocolate with whipped cream at the island whilst the kitchen is heated by the Aga. 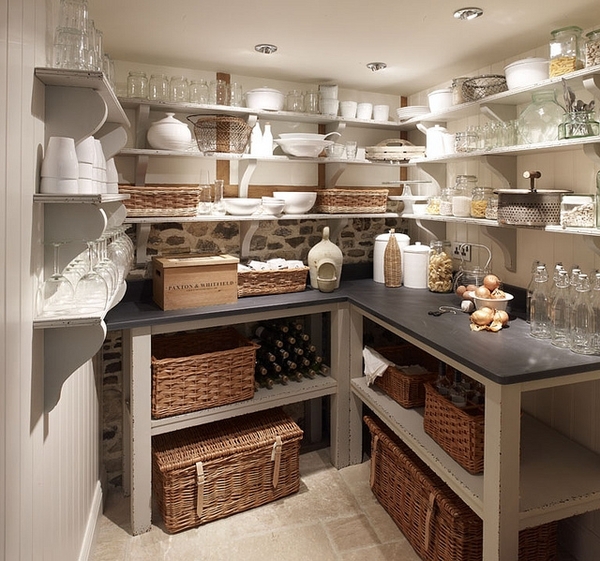 I would also love a pantry like the one below. It's so organised. Whereas I am not. 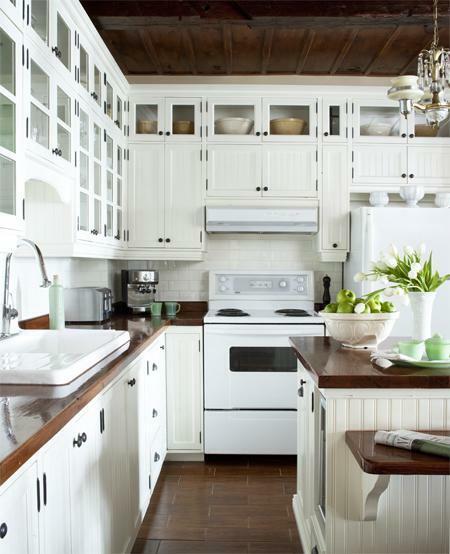 I love the white cabinets with the wood worktops and white sink. I do miss an Aga though. 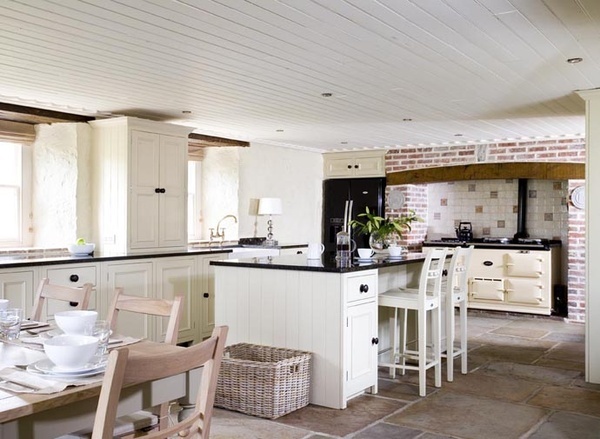 What does your favourite kitchen look like?